Empty Nesting « Super Mom – No Cape! Super Mom – No Cape! Now that it’s just Dave and I at home most of the time, I’ve had to relearn how to cook and bake for two rather than for a family. Dave loves cookies but a full batch is too much for him to eat before they start to go stale. I could bake a full batch and then freeze the extras but then we don’t get to have that wonderful aroma of cookies baking. Besides fresh baked cookies are more fun to eat so what I started to do (before we embarked on this prolonged moving adventure) was freeze the dough instead. 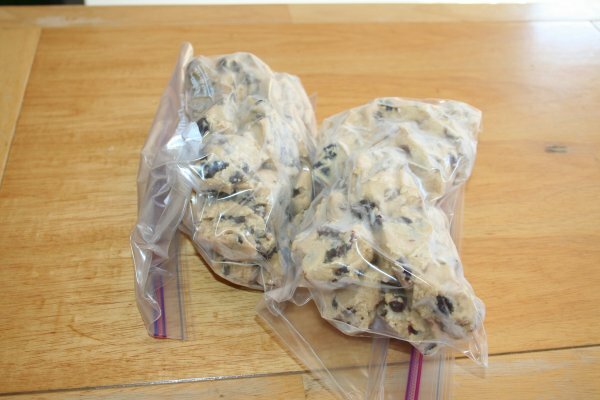 In order to give us a bit of variety, I make a full batch of his favourite chocolate chip cookie dough but before I add the chocolate chips, I divide the dough in half. To one half, I add 1 c of chocolate chips and to the other half I add 1 c of dried cranberries. 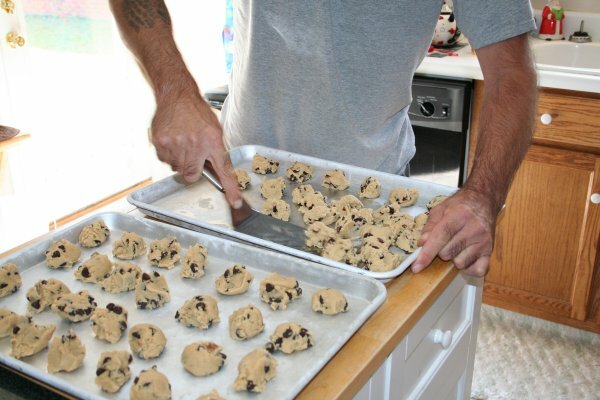 Then I spoon the dough onto cookie sheets. Because these are going into the freezer the cookies can be placed close together. The cookie sheets are then put in the freezer until the cookies are frozen solid. Remove the frozen cookie dough from the sheets. Place in freezer bags and return to freezer. 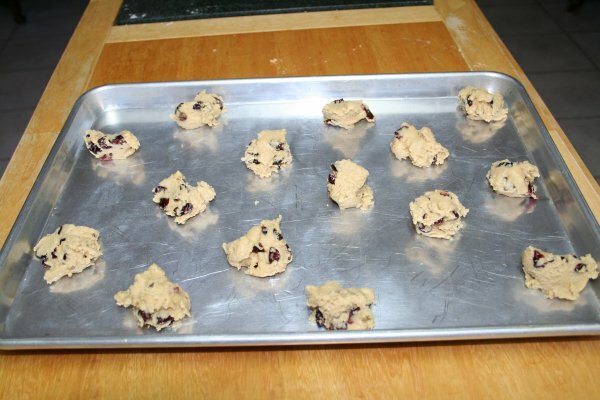 When we have a craving for fresh baked cookies, I take out enough to fill one sheet pan. 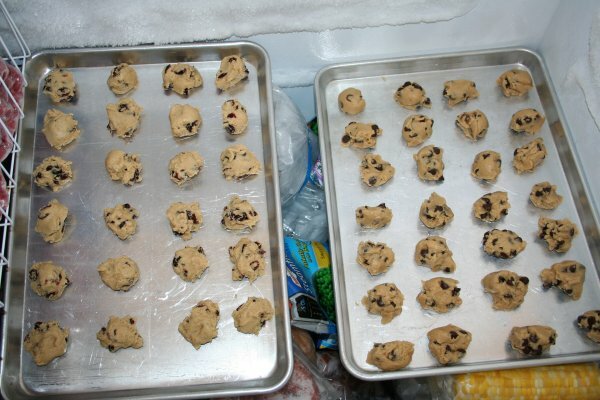 The frozen cookie dough needs to bake for 2 to 3 minutes longer than indicated in the recipe. Then we enjoy a yummy fresh baked treat. I’d like to wish all our friends and neighbours and everyone else in the US a very Happy And Blessed Thanksgiving. Since we are busy packing for our move, I’m not cooking the big traditional Thanksgiving dinner that I usually cook. Our wonderful neighbours across the street have invited us to share their Thanksgiving with them. But it wouldn’t be Thanksgiving without the smell of turkey cooking so we’ve put a couple of turkey thighs in the oven with stuffing between them. 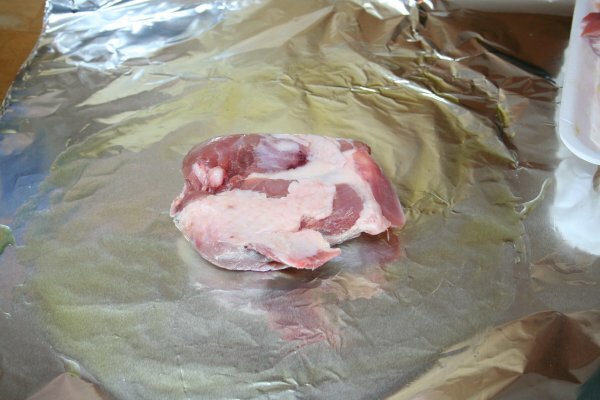 Place turkey thigh in the center of a piece of foil greased with olive oil. 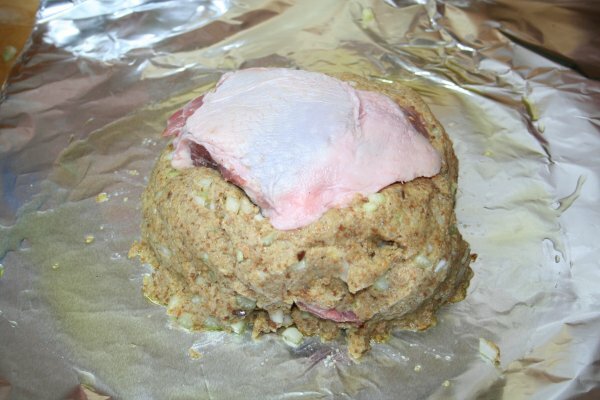 Pile the dressing on top of first turkey thigh and top with second turkey thigh. 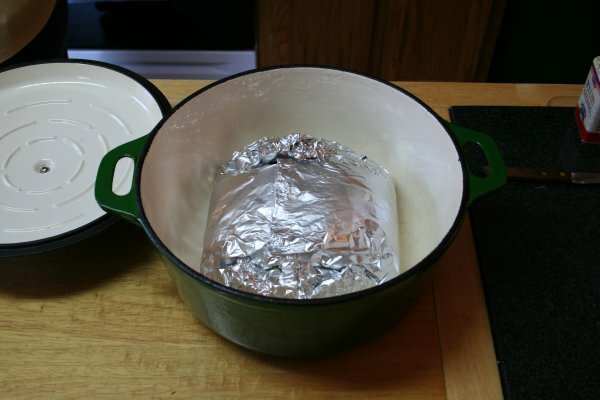 Place foil packet inside dutch oven. Into the oven it goes at 325 degrees F until done. 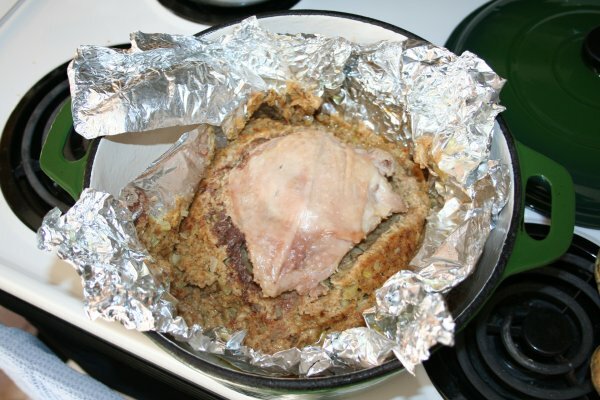 If I remember… I’ll add pictures of the finished turkey thighs and dressing later today. I remembered… lol. 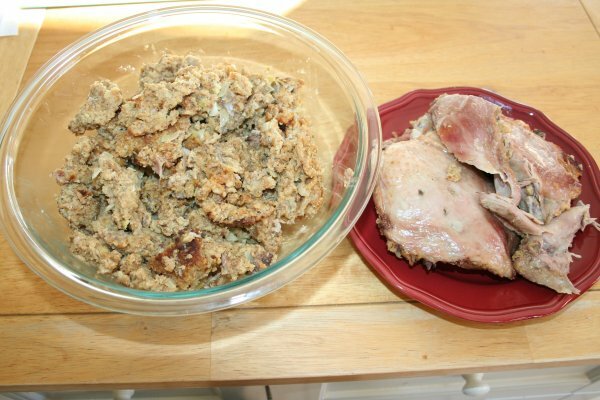 And to answer Sandra’s question in the comments, the turkey thighs and dressing took about 2 1/2 hours to cook, but the thighs were still partly frozen when they went in the oven. If you wanted to, you could place them under the broiler for a few minutes to brown the turkey skin a bit more. Can you tell that we love dressing in this house. There's twice as much dressing as there is turkey. I wasn’t going to do Halloween this year. I didn’t last year. Well, except for giving out candy. It’s always fun to see the little ones and not so little ones dressed up carrying their trick or treat bags. But this year, like last, I didn’t feel like decorating the house. It’s not as much fun with our son off at college and not home to help put up the decorations and to carve pumpkins with. When our girls left home to attend university six years ago, it was a huge adjustment for sure. But our daily routine remained much the same since we still had our son in school. Then our son went off to college last fall and there just didn’t seem to be much point in decorating for Halloween. Then this morning when I woke up, I realized I hadn’t bought the Halloween candy, so on the way back from dropping our car off for an oil change, we stopped to pick up the candy. 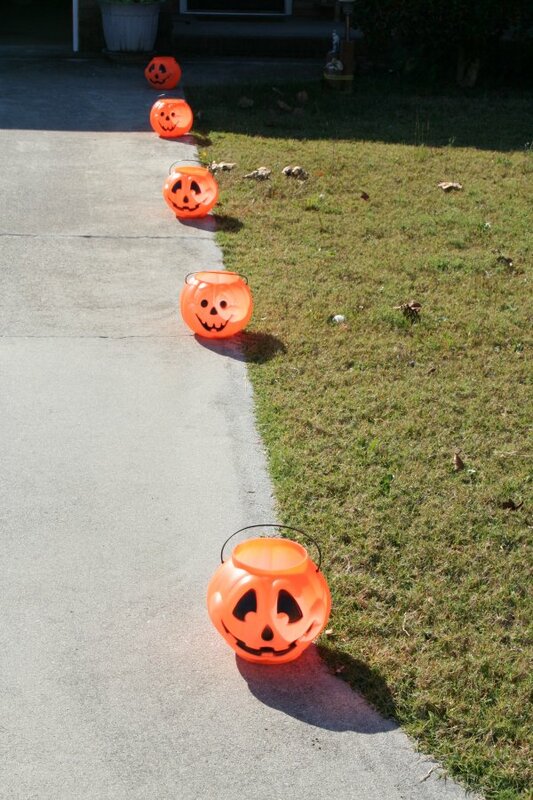 Once back home, I got to thinking that it wouldn’t hurt put out the pumpkins that we use to line the driveway. There are no street lights in our end of the subdivision so I put candles inside the pumpkins to light the way to the front door. 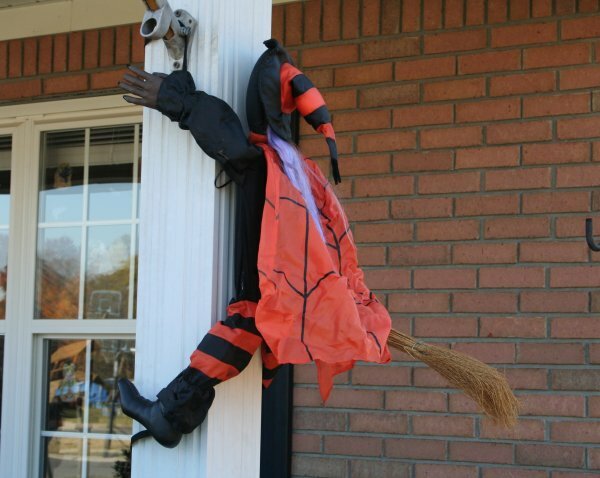 It didn’t take long for Dave to hang the crashing witch. Or to stretch the lights over the holly bushes. 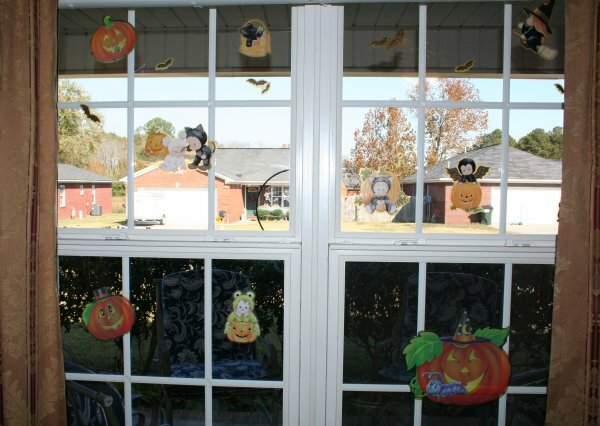 Window clings are quick and easy to put up. 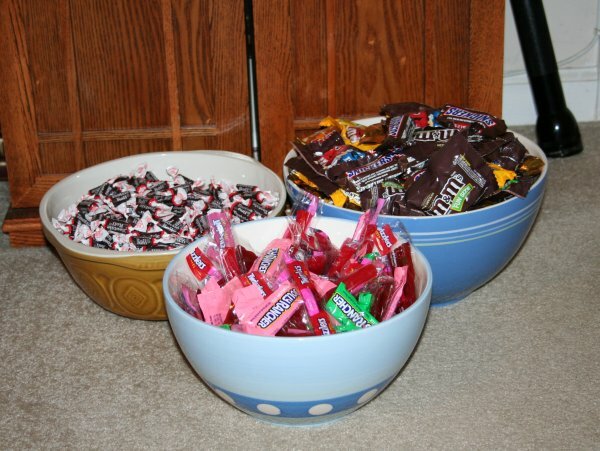 The candy is ready in bowls by the door. Bring on the trick or treaters!